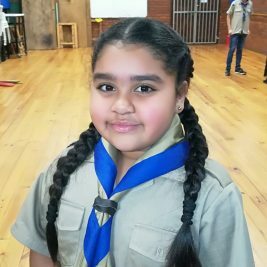 We spoke to Lindiwe Buthelezi (10) from 1st Henley Cub Pack in Gauteng. Cubbing is so much fun because I learn new things every Friday. It was when we went camping. The weirdest thing I have eaten outdoors are Mopani worms. The toughest challenge at Cubs was when I learnt how to make the knot called a figure of eight. 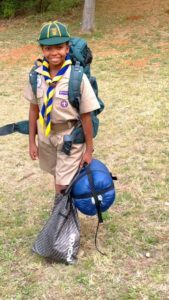 The most amazing place I went with Cubs is when we went to a camp. I have learnt to have respect, to be honest and never give up! We did tree planting and recycling.. I taught my mum how to make a sling out of my Scout scarf. By being kind, strict, caring and teaching us new things every week. My Akela is special because of what he teaches us and how he cares about us. Cubbing Rocks because … you learn about different things!